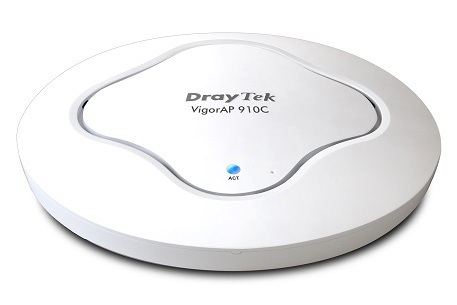 The VigorAP910 is an 11ac dual-band wireless access point with business-grade features provided, including Band Steering, AirTime Fairness, built-in RADIUS server, AP-assisted roaming and Mobile Device Management. 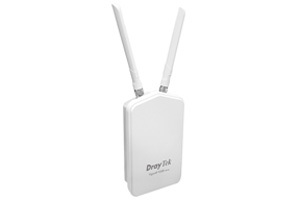 Its low-profile design and PoE-capable LAN ports is just perfect for ceiling mount deployment. 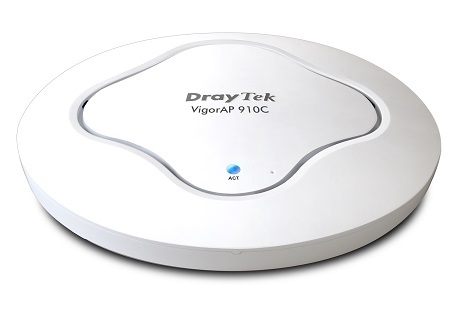 VigorAP910C runs on 5 GHz and 2.4 GHz frequency band simultaneously, allows more concurrent Wi-Fi clients, and benefits from the fast Wi-Fi speed of 5GHz and long-range Wi-Fi signal of 2.4GHz at the same time to meet the needs of various network applications. The support of Band Steering feature helps you to direct the 5G-compatible client devices to the less-crowded 5GHz Wi-Fi, thus improve the Wi-Fi experience for all the clients. 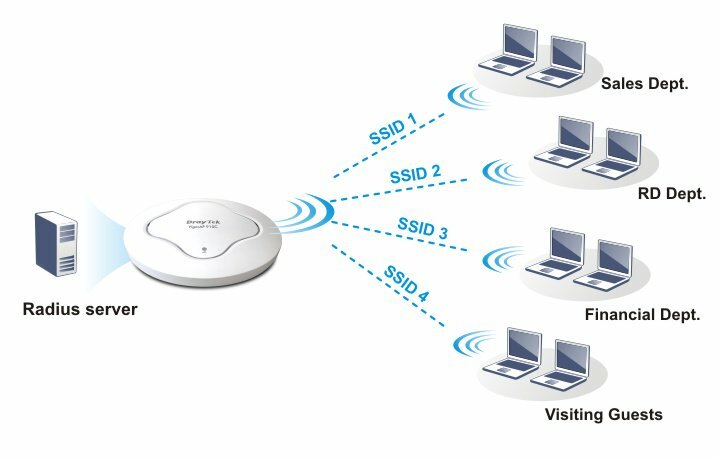 VigorAP 910C can be used to provide Wi-Fi service to staff and guest at the same time, up to 8 SSIDs can be configured on VigorAP 910C, and each of the SSID can be mapped to a different VLAN and have a unique security settings. VigorAP 910C is also an integrated solution for a business network which would like to do 802.1x authentication (instead of using a shared password, this requires a unique username and password for each user) but does not have an authentication server deployed yet. 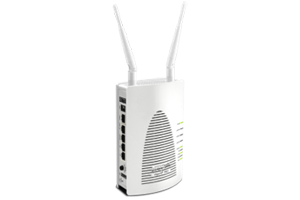 VigorAP 910C can do 802.x authentication based on the local user accounts, and also act as the RADIUS server for other devices (e.g., a router) on the network. 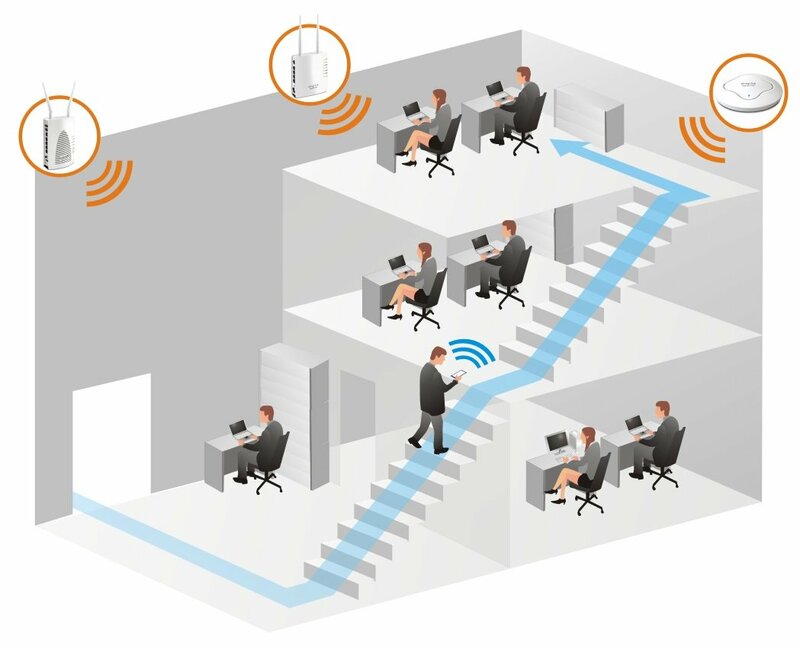 For a network where multiple access points are deployed, VigorAP 910C provides solutions to improve the Wi-Fi client’s roaming experience. 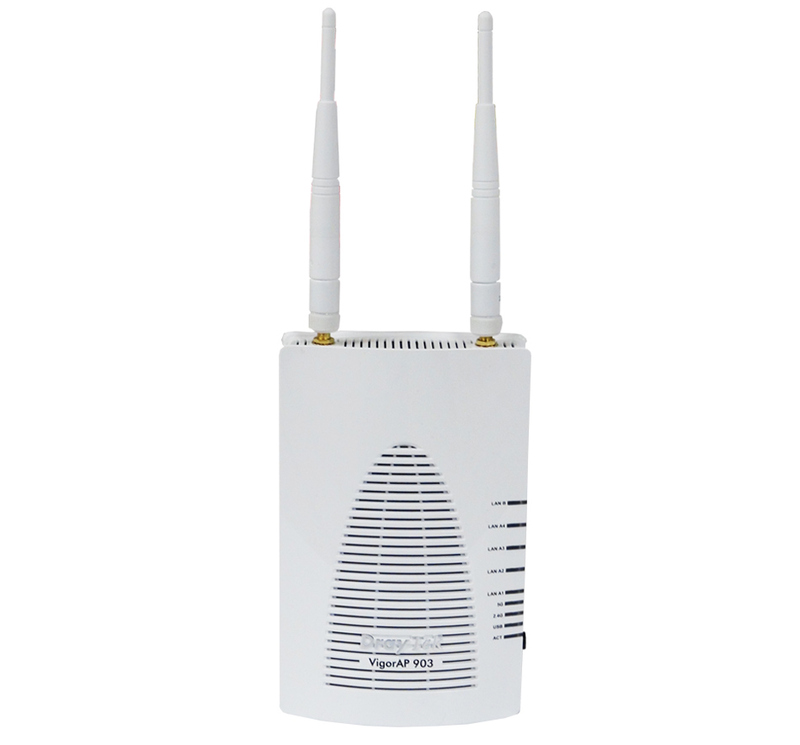 While roaming is a choice of the client device, VigorAP 910C can help the client switching to another access point which offers better signal by the feature called “AP-Assisted Roaming”, custom conditions can be set including a stronger signal guaranteed. Vigor AP 910C supports both stand-alone setup and controller-based setup. For settings up a few access points only, the configuration can be done directly on the AP’s intuitive web user interface. When it comes to managing a large amount of access point, there is the centralized management tool – VigorACS to perform configuration provisioning, bulk firmware upgrade, status monitoring, and statistical analysis. 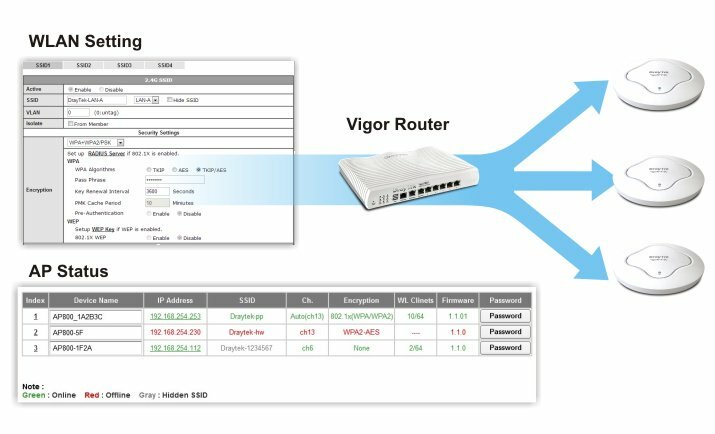 Furthermore, for those who are already using a Vigor Router that supports central management feature, they can manage the VigorAP 910C through the router’s web user interface as well.